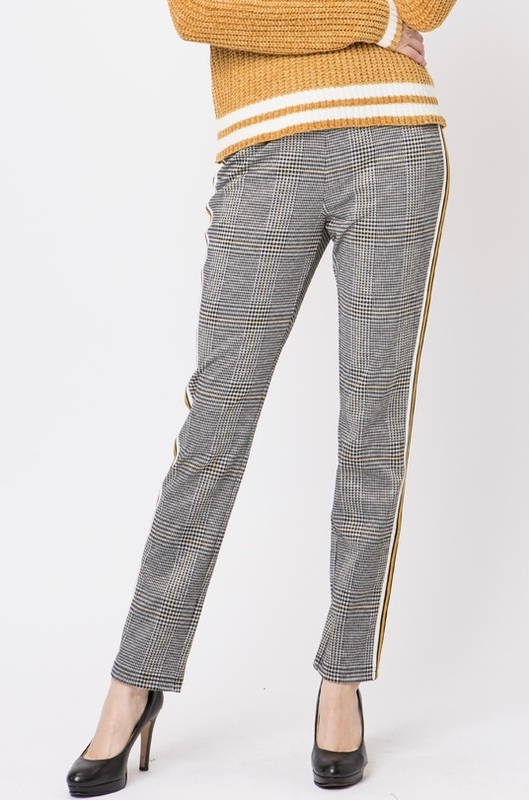 Plaid Checkered Side Rimmed Pants. 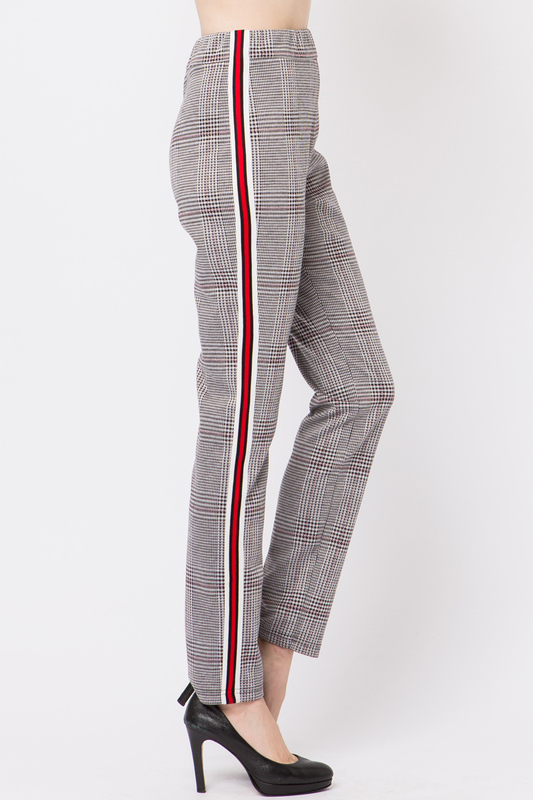 Comfortable Stretch In Garment. Mid-Rise.